Gary Lineker praised the “magnificent” Paul Pogba following his impressive performance in Manchester United’s 4-1 win over Bournemouth at Old Trafford on Sunday. The France international seems to have been given a new lease of life under interim boss Ole Gunnar Solskjaer and he continued his fine form in front of the Red Devils’ home fans. Pogba scored two of Manchester United’s goals in the first half as the Red Devils notched up their third successive victory in the top flight since Jose Mourinho’s sacking earlier this month. Marcus Rashford and Romelu Lukaku netted Manchester United’s other two goals before Eric Bailly was sent off late on. 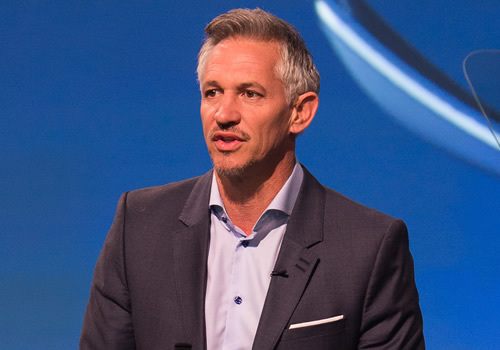 Pogba was named as the man of the match and England legend Lineker was clearly impressed by what he saw from the midfielder on Sunday afternoon. In a series of tweets posted during the game, Lineker wrote: “How good was that from @MarcusRashford? Amazing the difference it can make when someone has belief in you. Sensational play. The win left Manchester United in sixth place in the Premier League table and three points behind fifth-placed Arsenal heading into 2019. The Red Devils will return to action on Wednesday night with a trip to Newcastle United in the top flight.